SeaWorld has been in the press a lot recently with its spectacular 84 percent drop in profits this last quarter, since the release of the documentary "Blackfish" a few years ago it has started to spiral downward. I was honoured to be able to have an exclusive interview with "Blackfish" cast member and senior ex-trainer at SeaWorld, Dr Jeffrey Ventre. In the interview we discuss further into captivity, some science behind the logic and how SeaWorld like to trick the public & cover up by saying pure lies. If you feel angered by what you've been listening to - this is the normal reaction. There is no doubt that the captivity of these wonderful creatures is wrong. The only ones who refuse to accept this is SeaWorld and this is for one reason - money. 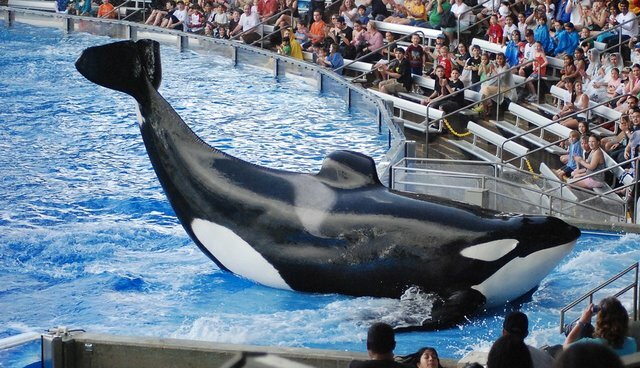 SeaWorld clearly believe it is okay to treat animals like this for human entertainment and profit. If you would like to help you can get involved in a few ways - If you want to go see these creatures one day - go to them in their natural habitat and observe from a far. They don't belong in a tank so please, please, please don't contribute to their captivity.